The European asset gain momentum when Germany 10 years government bonds yield surpassed its rivals (the US and the UK). However, the risk appetite increased which leaves a negative impact on euro. Therefore EURUSD is staying neutral at this moment. The support levels are 1.1150 and 1.1057 followed by resistance at 1.1260 and 1.1350. As long as support stays at 1.1057, EURUSD will have upward trend. Considering the growth scenario, a strong resistance would rest around 38.2% retracement of 1.3993 to 1.0461 and on the other hand below 1.1057 the support will reach 1.0820. The MACD indicator is in neutral territory signaling a price decline. Short positions are recommended while price is moving around 1.1350 – 1.1400 area. 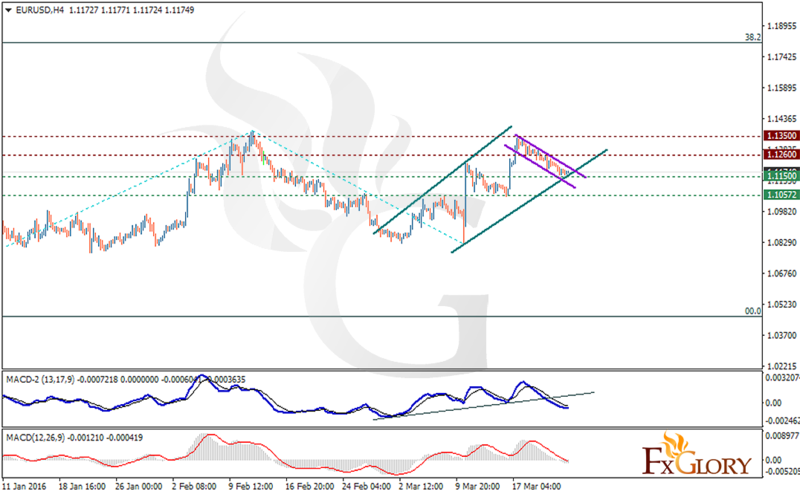 Buyers can wait for the price to reach 1.1000 and set SL at 1.0940.